Musicians of the Circles of Art Orchestra performed on January 23rd 2019 at the Witold Lutosławski Concert Studio of the Polish Radio, closing the 3rd edition of the Polish Circles of Art Festival in China. The event served the purpose of familiarizing Polish audiences with the idea of this cultural festival taking place in China for the last few years. The night’s atmosphere was built up by the performance of special guest Anna Krysztofiak. The vocalist and multi-instrumentalist presented traditional Chinese music to the numerously gathered viewers. We heard composition played on the guzheng, pipa and cucurbit flute, accompanied by the artist’s phenomenal vocal skills. It was not just a musical treat, but also a visual one: the oriental forms of the instruments and techniques intrigued audiences. Among other works, she performed “Cui Zim Dio”, “Dance of the Golden Snake” and “Peach Blossom Takes the Ferry”. What followed was the first ever performance of the Circles of Art Orchestra jazzband in Poland. 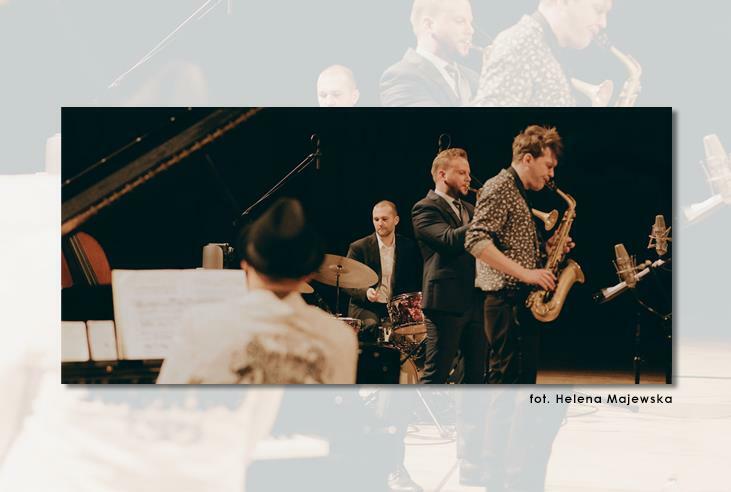 During the concert, accents inspired by Chinese culture mixed with jazz standards, works influenced by Polish folk music and compositions of the groups head, Wojciech Konikiewicz. The band performed, among others, “Impression XIII”, “Jadą goście jadą”, “Rosemary’s Lullaby” from “Rosemary’s Baby” and Chinese folk melody “Mulinhua”. During the performance, spontaneous applause would break out and the concert would not have been complete without encores.